How did you fins us? General We are the sole UK distributors for Filec (http://www.filec.nl/ ) variable transformers. 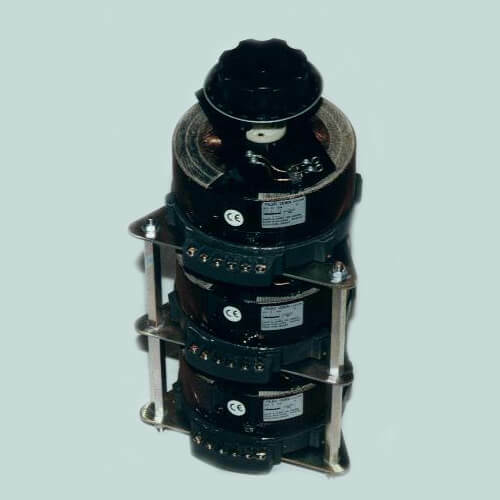 We are able to offer one of the largest range of variable transformers, sometimes referred to as regulators, and accessories in the UK. Originally designed by Philips they have been sold in the UK for over 45 years. Their reliability and constant quality being well proven with many thousands of units being sold. With a wide range of input voltages and a frequency range between 50 and 400 Hz, they are able to satisfy most voltage and power control requirements. Single phase and three phase models are available from 0.5 to 325 amps and above. The smallest being encapsulated and compact in design. Regulators can be supplied as single or ganged units for incorporating in your own equipments and designs or purchased as a complete power supply in one of our standard enclosures. Special enclosures are also available so that we can cater for all your requirements. Our total engineering package can help by supplying enclosed air cooled equipment with stabilisers, metering, fuses, contactors and many other featured accessories. Consult us if your requirements are not covered by the information on our web site. Does not introduce waveform distortion consequently minimising EMC problems single and three phase models are available over a wide range currents. 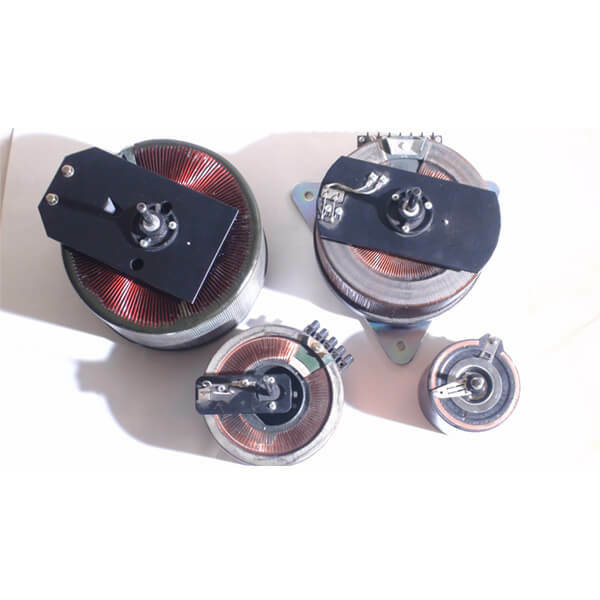 These superbly built variable transformers have high quality, self aligning carbon brushes spring loaded onto a plated copper track to provide smooth and long lasting power control. Use the conservative engineering built into the design either as an additional safety factor in your equipment or in using the curves provided to help tailor the regulator to your load. Easy to use and easy to design into your equipments. On all our models removable shafts make it easy to gang and utilise different shaft lengths. Strict confidentiality is maintained over your design information.